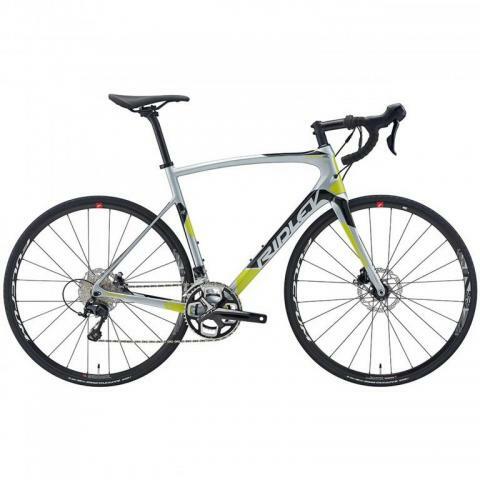 The Ridley Fenix SL 50 is a responsive, comfortable ride that blurs the line between race bike and endurance bike. On high-spirited KOM attempts or finishing sprints, the tapered head tube and massive pressfit BB create a direct transfer between you and the pavement. Detour onto back roads, and the Fenix's geometry soaks up vibration and smooths out washboard. When descending, the flattened chainstays and tire clearance (up to 30C) offer a compliant ride without sacrificing race-ready stiffness. A frame this good deserves a certain calibre of components, so Ridley opted for Shimano's excellent 11-speed 105 groupset and a host of proven 4ZA aluminum components to tie this whip together. When coming in hot to technical hairpins, the Ultegra hydraulic discs produce confidence-inspiring, catch-free power and nuanced modulation.